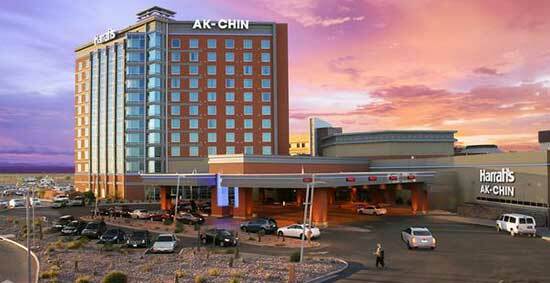 Harrah's Ak-Chin Casino is a Native American casino located 40 miles south of Phoenix in Maricopa, Arizona. The casino is owned by the Ak-Chin Indians, who contracted with Harrahs to manage its operation. Harrah's is a management brand of Caesars Entertainment. The Ak-Chin Casino first opened its doors for business on Dec. 27, 1994. A 152-room hotel tower was added in 2011. In July 2016 Ak-Chin began construction on a major expansion project to add a hotel, a luxury spa, additional gaming space, a conference center, additional restaurants and a parking garage. The project was totally completed in 2019. I-10 East to Queen Creek Road (Exit 164), right 16 miles to Maricopa, 1 more mile to casino. I-10 West to Exit 198, west on Highway 84 to Maricopa Road 12 mi. Tucson I-10 West to Exit 198, west on Highway 84 to Maricopa Road 12 mi. 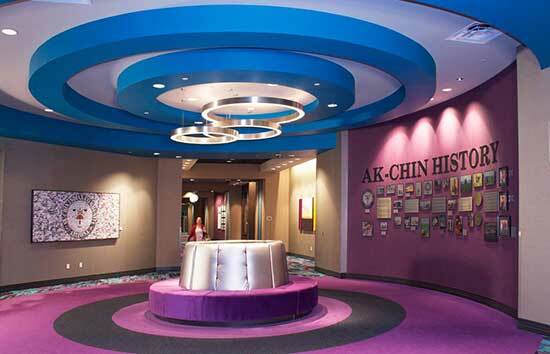 Harrah's Ak-Chin Casino has expanded from a casino into a resort with the completion of its three-year construction and renovation project. The following is a summary report of all the new features that have been added to the Ak-Chin Resort and Casino. HOTEL TOWER - A new 12-story hotel tower has added 229 guest rooms to Ak-Chin. There are now a total of 529 hotel rooms. The expansion also included The Pool at Harrah's Ak-Chin and a pool-side bar. SPA - The Spa at Harrah's Ak-Chin is a 3,000 square-foot luxury spa with four elegant treatment rooms including a couple's room. 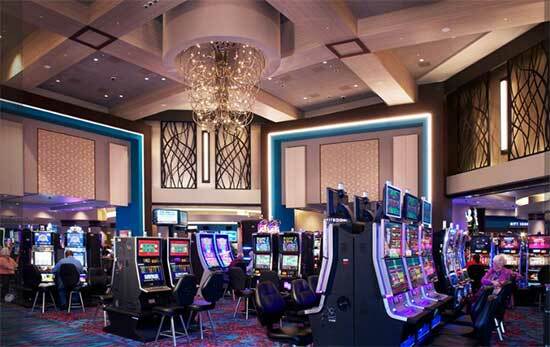 NEW LOBBY - A new lobby portrays the upgrade and elegance intended in the new design of the casino. It is a central entrance to the casino and to the hotel. 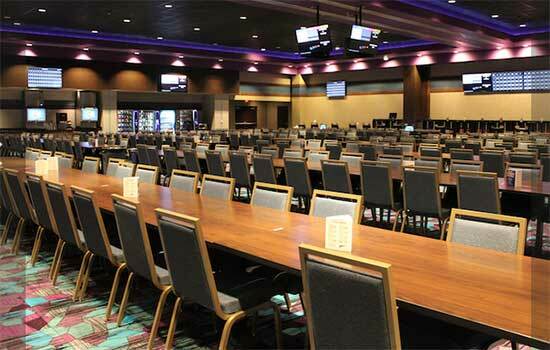 GAMING SPACE - The total gaming space at Harrah's Ak-Chin Casino has been expanded to 40,000 square feet. NEW BINGO HALL - The bingo room has 430 seats and offers 200 electronic bingo handheld devices. The location is near the main casino and the entrance to the parkiing garage. NEW RESTAURANTS - Oak & Fork is a new restaurant that specializes in pairing sharable small plates with select wines, beers or cocktails. Chop, Block & Brew is another new restaurant and features a wood-burning mesquite grill for serving gourmet burgers, steaks and prime rib. This is a large restaurant with 3,450 square feet and 159 seating capacity. The Buffet has been totally renovated and offers American, Mexican, Asian, pizza and pasta dishes. Another 7,607-square-feet have been added to this restaurant. EVENT CENTER - The Event Center at Harrah's Ak-Chin has scheduled live concerts and other special events. It has seating for 2,000. SKYBRIDGE - The Skybridge is a 180-feet long, covered walkway that connects the casino to the adjacent Ultra Star Family Entertainment Center, where guest can vist a bowling alley, movie theater, and dining. 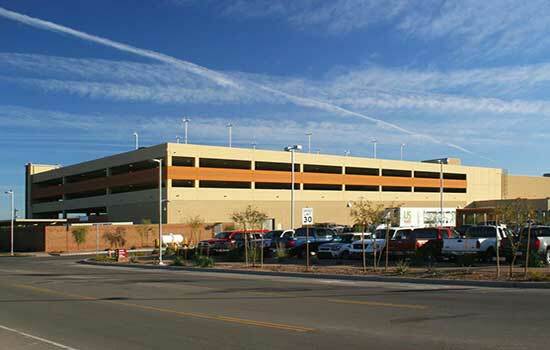 PARKING GARAGE - The new parking garage is a multi-level structure with parking spaces for 730 vehicles. AK-CHIN HISTORY - The history and culture of the Ak-Chin Indians are woven into the design of the Ak-Chin casino, and the Ak-Chin History Center inside the casino displays important events and tribal members. 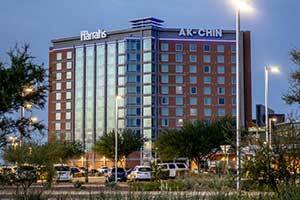 Construction on some projects are being finalized for Harrah's AK-Chin Casino. 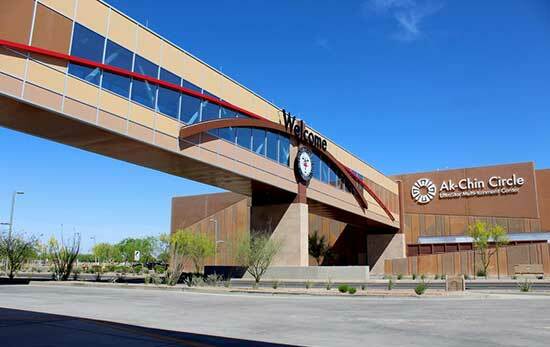 The casino is located in Maricopa and owned by the Ak-Chin Indian Community. 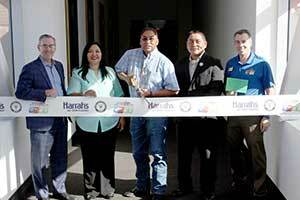 Harrah's was contracted by the tribe to manage the property. Some recent completion of projects are the parking garage and hotel tower. The garage offers parking for 730 vehicles. The hotel is 12 stories tall and offers 230 guest rooms. A bridge that guests can walk on will connect the Ultra Star Family Entertainment Center to the casino. The entertainment center offers families activities for all ages. Including a bowling alley, movie theater, and dining. Next for completion will be renovations to the ballroom, new resort rooms, and a new pool area. 200 direct jobs have been created with the expansion project. April or May of next year is when the project should be completely finished. The new Ak-Chin Circle Pedestrian Bridge opened today. The walkway provides a comfortable way for guests to move between the Ak-Chin Casino and the UltraStar Multi-Tainment Center. Before the walkway was built, guests would need to either ride a shuttle bus between the properties or walk across the parking lot. The pedestrian bridge will make visiting the properties more convenient for guests. It is enclosed and offers air conditioning. While guests walk along the bridge they will also have a view of the Ak-Chin Community. The new walkway is 180 feet long. This is not the only project for the Ak-Chin Casino. The property is currently undergoing the second phase of the expansion. The hotel is adding an additional tower with 200 guest rooms. When completed there will be over 500 rooms available at the hotel. There will also be a new parking garage with several parking floors. A larger conference and event center offering a ballroom space. A new fitness center and spa. Also a new dining venue that will be named Chop Block & Brew restaurant. Many of these projects are expected to be completed by sometime this summer. 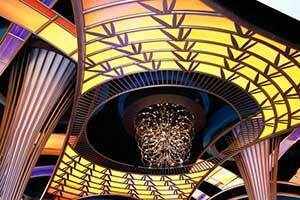 The walkway was designed to make it easier for guests to visit both the casino and the entertainment venue easily. Located in Maricopa, Arizona the casino has been open for 23 years. 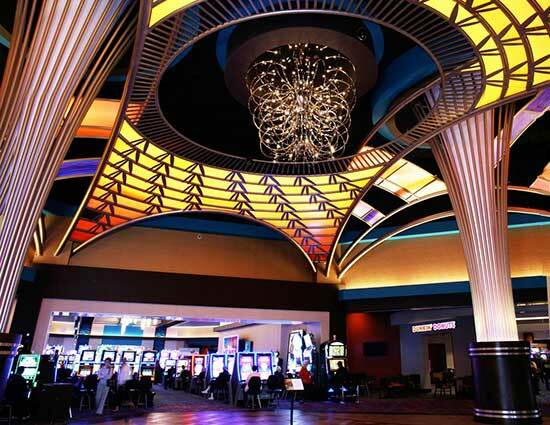 This is the first and only Native American owned casino that also has a partner for management that is overseas.